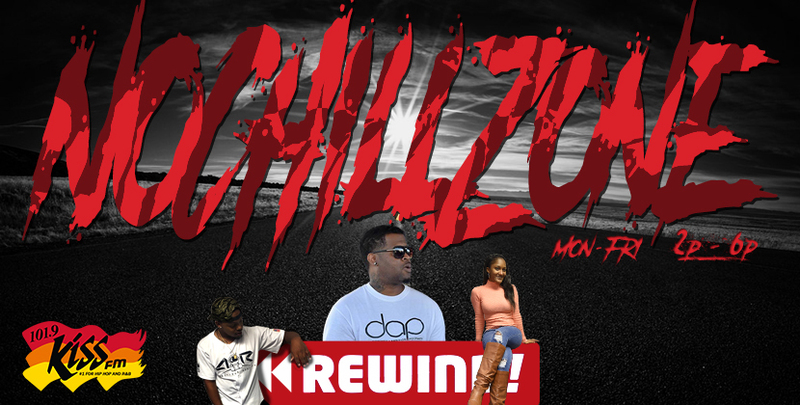 Broadcasting LIVE from the 101.9 Kiss FM in Eastern North Carolina is the Jay Blaze #NoChillZone Monday-Friday 2pm-6pm. “Jay Blaze Doesn’t Do Radio, He Is Radio” The #NoChillZone is Hosted by Jay Blaze, Clarke Jones, and Born Finesser, with a host of pop characters. Here’s what you can expect!!! #New@2- @2:35Jay Blaze drops a new song at 2:30pm and let the listeners judge Hate it or Love it!! #TrendingTopics– AT 3:25 and 5:25pm, Clarke Jones runs down the top trending stories, while Jay Blaze chimes in with his almost educated views. #Drive@5Mix- @5pm Dj A To The L and Born Finesser give you a straight hour of Back to Back joints requested by you blended to perfection (AND NO ONE TALKS IT JUST MUSIC)!!! October 9th, 2017-If you missed today’s show here’s what you’ve missed! “Jay Blaze calls up Rimtyme and pitches a new reality show called “Repossessed” where Jay will ride around repo’ing rims from customers who’re behind on their rim payments.